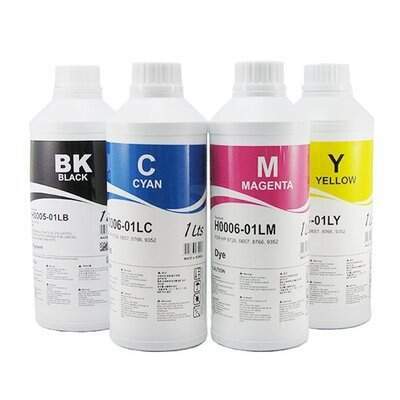 TINTA PIGMENTADA PARA IMPRESSORAS DESENVOLVIDA PARA PERFEITA FLUIDEZ NAS CABEÇAS DE IMPRESSÃO, SERVE PARA TODAS AS IMPRESSORAS EPSON. A TINTA PODE SER USADA PARA DE TRANSFER EM TECIDOS DE ALGODÃO E NECESSÁRIO A ULTILIZAÇÃO TRANSFER LIGHT PARA TECIDOS CLAROS OU TRANSFER DARK. PODE USADA PARA IMPRESSÃO DE PAPEL SULFITE, FOTOGRÁFICO, ETIQUETAS DE PAPEL.